They are adorable! I love your tutorials. Thanks for all your cute project ideas!! I love them .....and hot glue! seriously! How cute and simple are those little sweet things? How cute! I love felt projects. This seems like something my 6 yr old would like working on with me. Great idea! Cute magnets are a must! This is a really cute and kid friendly project to do with my 500+ Art students when school starts back! Thanks for the idea! Yeah, were you surprised to see your own daughter in this post, Megan? :) I was going to email you first but then figured it didn't matter. Her photo was 1) one of the easiest to unstick from the top layer on my bulletin board 2) really cute 3) nicely matching. Sometime I should get a more up-to-date one! But I love this one very much. 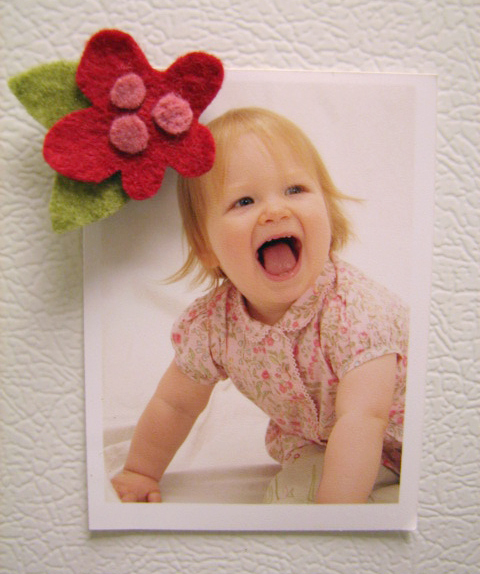 VERY cute.... magnet AND pic! love it and what a good project for the kiddos who are home and bored! How cute and clever! I just might have to get some felt this weekend. Your blog is such an inspiration! 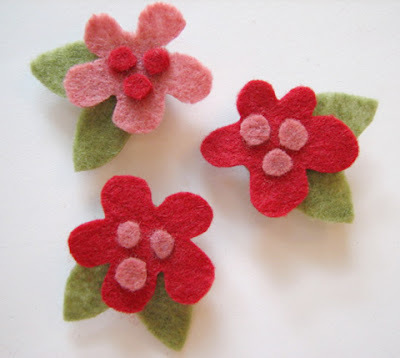 o, how we love those felty flowers! never enough...sweet, sweet! stop in to see my bloggy *give-away*. 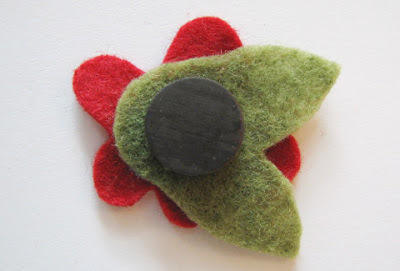 more felt and paper treats. love your magnets! great idea! This is such a cute project. Thank you for sharing! I never would have thought of that. Those are so cute- thanks for the inspiration- what a fun blog! oh how fun. what cutie little magnets. SO CUTE! They would make great hair clips for my daughter. I'm going to try this and throw a clip on the back instead. How cute... and easy to make! Wonderful!